I have patronised them a couple of times. It is usually crowded. This time we went on the first day of Chinese New Year. I was already surprise that they were open. They were pretty empty. Guess everyone else is busy with house visiting. They have a little indoor playground which is great for family with kids. They have long booth seating which is good for family/friends gatherings. They serve a plate of little tissue ball which you just pour water and it will expand to a cold tissue towel. It is always fun watching the tissue ball grow. 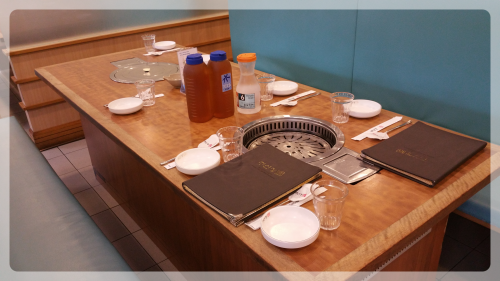 After placing our order, they swiftly lay our table with the sides dishes and the different sauces to go with our BBQ Meat. 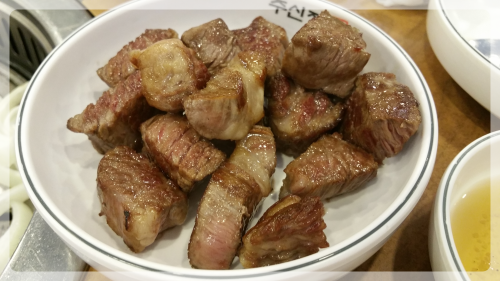 They also helped us to bbq and cut the meat into small cubes. 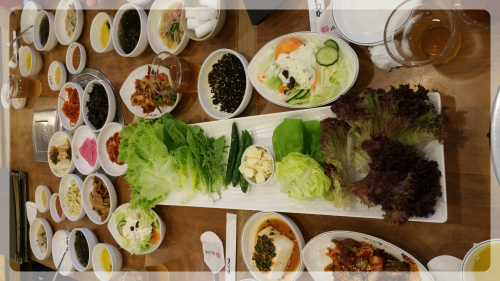 They serve a great variety of sides dishes. 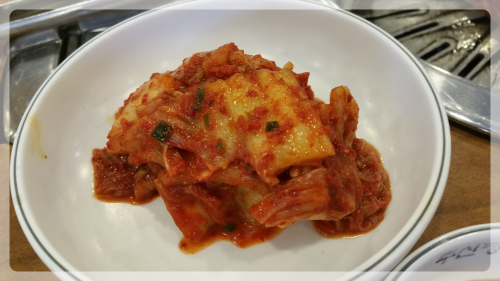 There is also my favourite Kimchi. 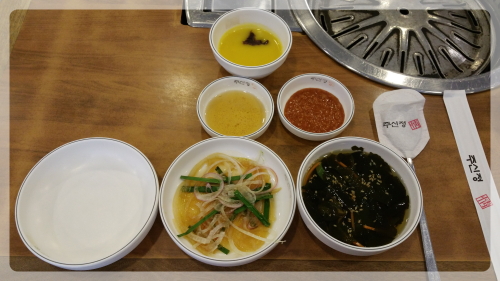 They served individual seasoned onions as well as cold seaweed soup. There is also the pumpkin cream for starter. However, some of us didn't really appreciate the pumpkin cream. 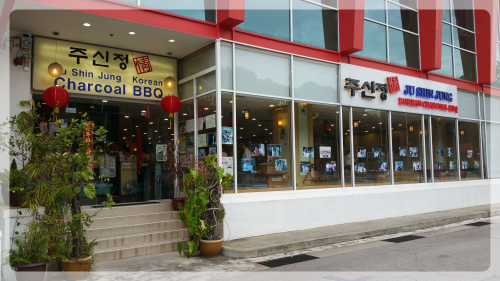 We ordered the boneless beef short ribs, pork collar and marinated chicken to share for the BBQ. 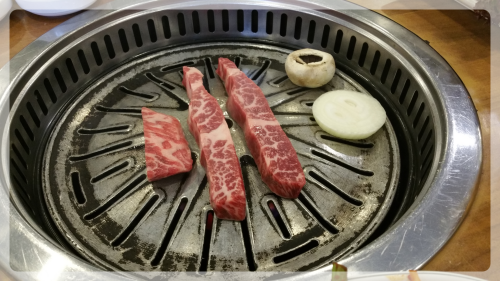 I love Korean BBQ! 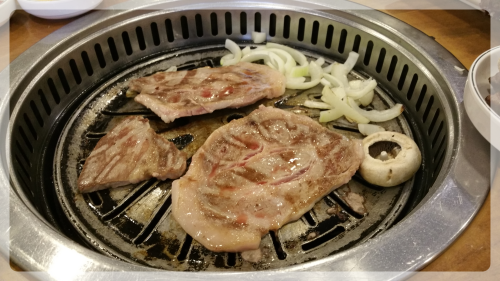 The tenderly juicy meat coupled with fresh pieces of vegetable. I was never a big fan of garlic. 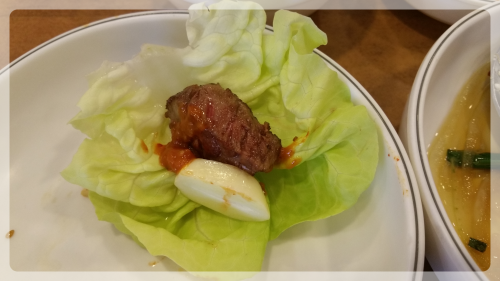 During my korea trip last year, one of the BBQ shop owner encouraged me to add garlic with bbq meat. Wow, it gave an extra spicy zing to it. I instantly fell in love with the combination! 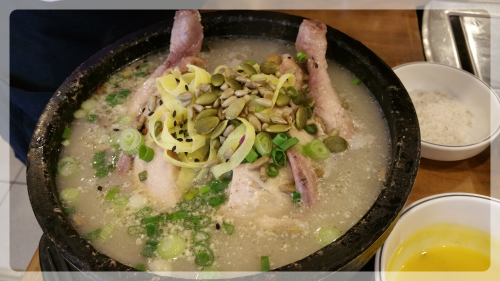 Ginseng Chicken Soup. 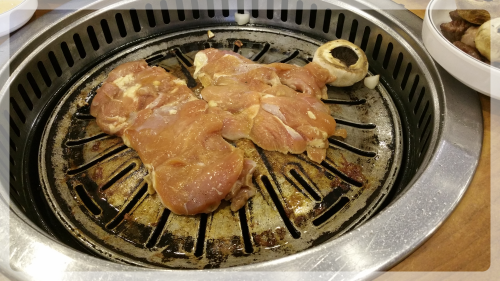 (S$23) The chicken was tender and juicy. The soup was a bit bland but I guess it is the same as the ones offered by most other restaurants. It still feels good to drink it. So nutritious! 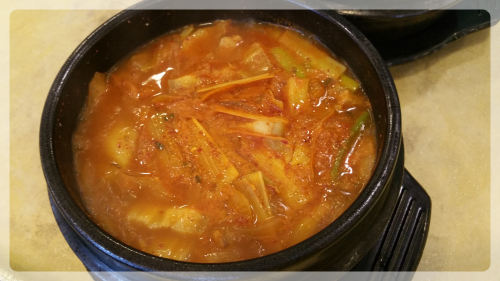 We have also ordered the kimchi soup (S$14). Kimchi soup is always my all-time favourite. The spicy broth with kimchi and slices of pork is bursting with flavours. So warm and comforting! The meal cost us about (~S$151). It was about S$22 per pax. They have a few branches (West Coast, East Coast, Guillemard and Robertson Walk). I have only went to the West Coast Branch. It is accessible and within walking distance to the Haw Par Villa Station. 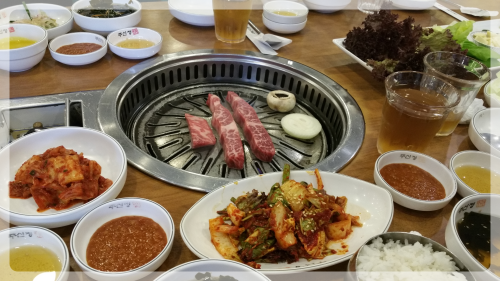 The deliciously tender BBQ meat and fresh vegetables offers a good Korean BBQ experience. I will definitely come back again. They also offer unlimited BBQ promotion. Unfortunately, the promotion was not available during the Chinese New Year Period.